With the growing influence of China over Southeast Asian waters, the Indian government has expressed a readiness to bolster maritime security in the region, particularly in ensuring peace prevails in the disputed areas of the South China Sea. Through this concern, India has pledged to cooperate with the Association of Southeast Asian Nations (ASEAN) to enhance maritime security via the Delhi Declaration. Maritime security cooperation was one of the bigger areas of focus by Indian Prime Minister Narendra Modi during the ASEAN India Commemorative Summit, in New Delhi held late last month. “We remain committed to work with ASEAN to enhance our practical cooperation in our shared maritime domain,” Modi addressed to the head of ASEAN states. Among areas in maritime cooperation that India hopes to explore with ASEAN is disaster risk reduction and management, joint patrols and exercises, and other maritime capacity-building activities. This, of course comes from a perspective that a diplomatic relationship must be maintained between India and the 10 ASEAN member states as 40 percent of commerce and trade comes from the Indo-Pacific region which includes the South China Sea. Prior to this latest Declaration, Singapore and India had agreed upon an India-Singapore Bilateral Agreement for Navy Cooperation, last year. The pact holds significance for both countries as it covers a wider relationship in the naval realm. The agreement covers several areas including increased cooperation in maritime security, joint exercises, temporary deployments in each other’s naval facilities, and mutual logistics support. It was seen as India’s initial step into maritime security collaboration with ASEAN. UNCLOS defines the rights and responsibilities of nations in their use of oceans, establishing guidelines for businesses, the environment, and the management of marine natural resources. In this context, it was also stated that India is looking forward to an early conclusion of the Code of Conduct in the South China Sea. Saran added that India and ASEAN could collectively make arrangements on intelligence sharing to combat piracy at sea, terrorism, and sea-based human smuggling as well as narcotics trafficking. How will this affect the bilateral relationship between India and ASEAN? The Declaration is seen by India as a window to help eradicate barriers that hamper maritime transport and facilitation between India and Southeast Asia as India establishes itself as a power in the Indo-Pacific region. Through ASEAN’s eyes, it is an intelligent move by India to expand its maritime connectivity in response to China's supremacy in the region powered by the Belt-and-Road Initiative. The mutual cooperation however, would aid in fostering a stronger presence of India’s connection in ASEAN. It is important for India to take part in such negotiations if it wishes to be on the same playing field as China. 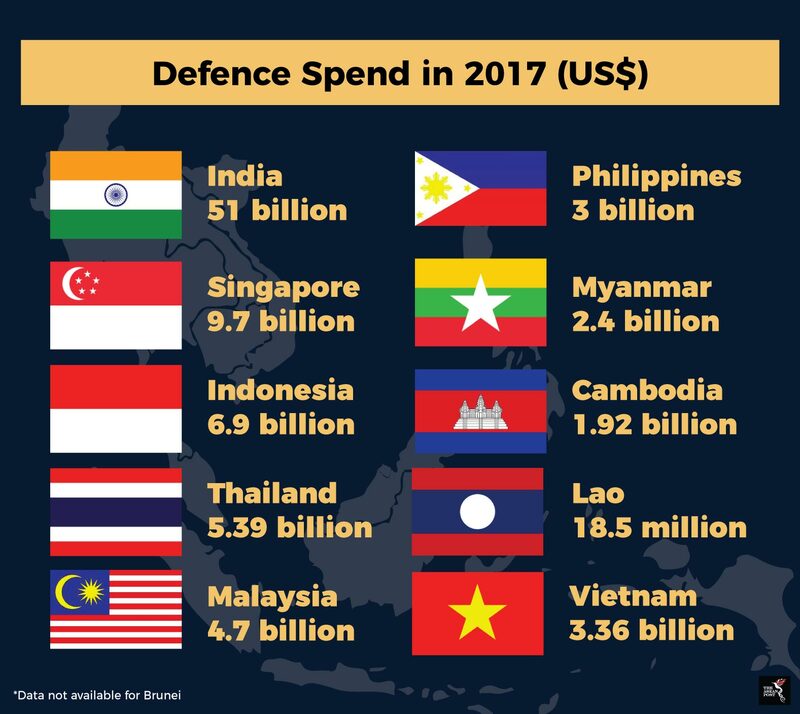 With relations between India and ASEAN being at an all-time high, it is undoubted that both parties will be able to gain from this maritime security cooperation.